If you want to clear PeopleCert PRINCE2 Foundation, i am sure you would like processexam.com. It has so many good features that you would clear the exam if you are fully dedicated in giving practice tests on the site. There are more than 1020 PRINCE2 2017 Foundation questions on the site. These questions are a combination of real and scenario-based ones. If you compare, you will find that the questions are most of the times asked in actual exams. Clearing the actual exam made me feel excellent. The best source to gather knowledge it seems. When i scored badly in some mock test, i attempted it again through premium membership. 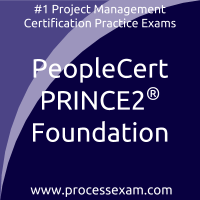 I cleared PeopleCert PRINCE2 Foundation Certification Exam in first attempt. Clearing PeopleCert ITIL Foundation certification exam through mock tests with good scores was pride. 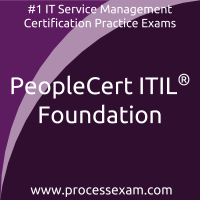 PeopleCert ITIL Foundation certification exam cleared with a good score at first attempt.